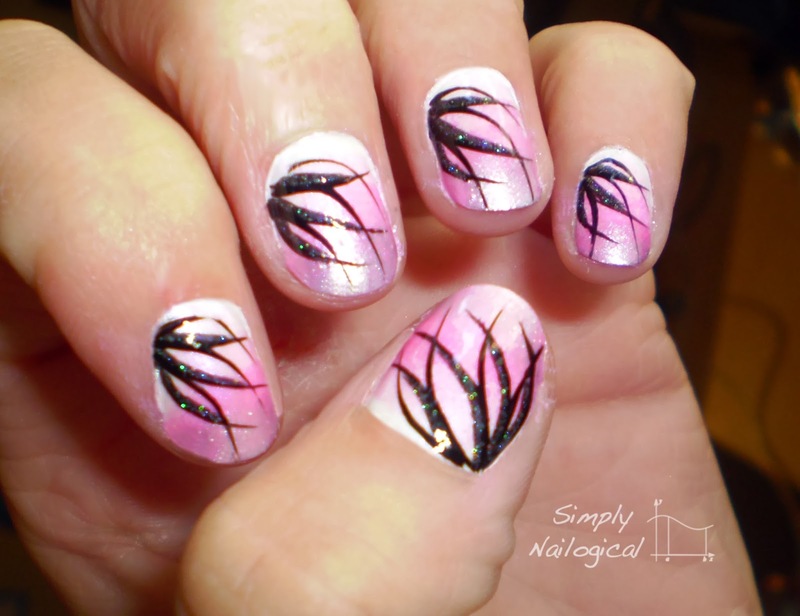 Here's a second look at what I've termed the looping effect mani. 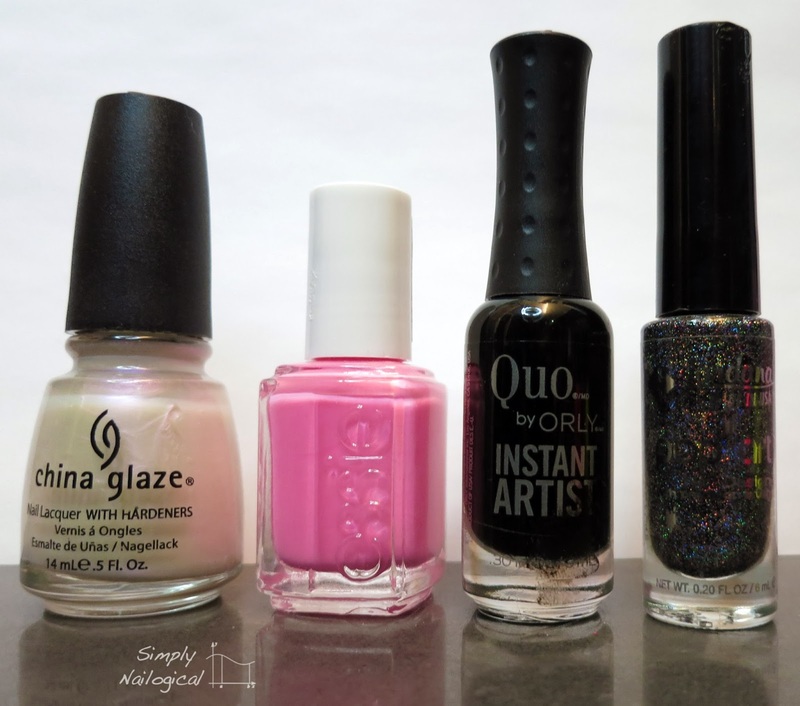 So far this blog hasn't seen recent looping effect nail art, rather, I've been posting looping manis from the archives, and the same is the case for this post. BUT it's pink, and tomorrow is valentine's day sooooo... deal with it. The looping effect is quite simple to do especially if you're using an opaque polish that comes with a skinny brush so you don't actually need to source a skinny paint brush and dip it into endless polishes trying to figure out which ones will swipe on opaque in one coat. 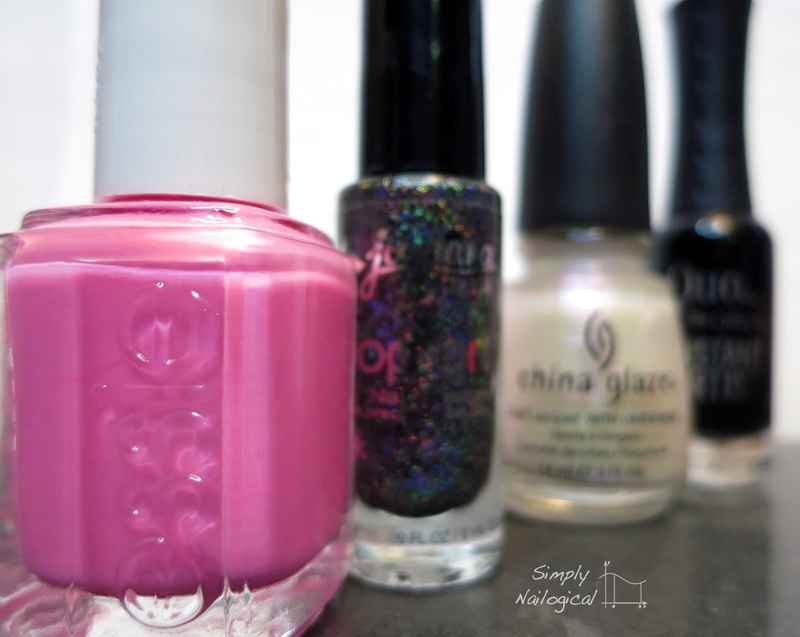 Brands like Kiss nail art, Quo by Orly, Art Deco, Jordana, and many others have caught on to this trend and have begun selling skinny nail polish bottles that are essentially a sign that there is a skinny brush inside intended for detailing/striping. I apologize though, for the terrible photo quality (hence only two photos of the nails). I promise at some point in the future I will give you all a more recent reincarnation of the looping effect!